The settlement, estimated at $3 million, will go toward resolving natural resource damage claims and to restore habitats injured by pollution. The public is encouraged to review and comment on the consent decree through December 16th to USDOJ. Koppers Co,. Inc. was a wood treatment and fertilizer manufacturing plant that operated from approximately 1940 to 1978. Over time the plant released hazardous substances into the Ashley River, groundwater, and surrounding wetlands. In January, 1993, Beazer East, Inc., which assumed liability for Koppers Co, Inc., worked with the U.S. Environmental Protection Agency to evaluate the extent of the pollution. They found that nearly 140 acres of tidal marsh and creeks had been contaminated with hazardous material. These pollutants included polycyclic aromatic hydrocarbons (PAHs) of the variety found in creosote, a tar used for treating wood. They also found significant amounts of heavy metals. Sediment samples found these contaminants in amounts that would be toxic to bottom-dwelling invertebrates, and potentially to fish, birds, and mammals. The clean-up of the site concluded in 2003. The consent decree lodged in November of this year outlines restoration projects aimed at compensating the public for injuries to water quality, sediment, wetlands, fish, and wildlife. Under the proposed $3 million settlement, Beazer East, Inc. will implement a 70-acre marsh restoration project valued at approximately $1.2 million and provide funding to the Trustees to plan and implement projects to benefit important habitats. 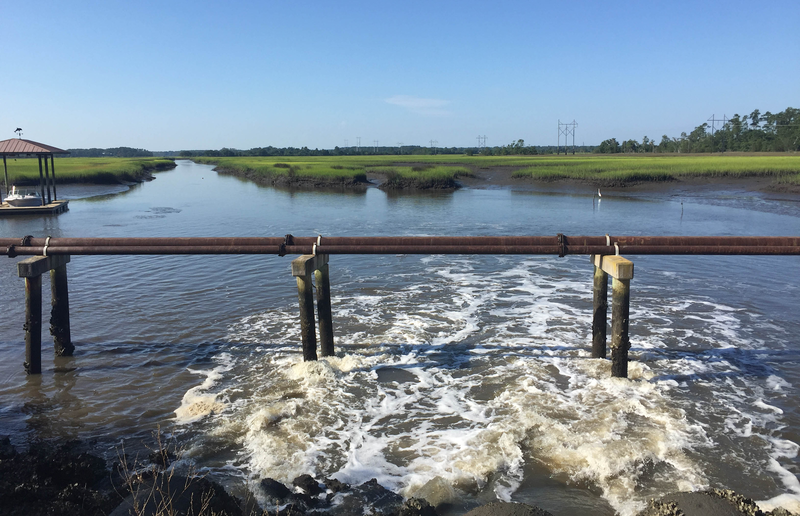 This funding includes $400,000 for approximately 45 acres of marsh restoration that will be implemented in cooperation with the City of Charleston. $390,000 will go to the South Carolina Department of Natural Resources to compensate for injuries to groundwater, and $1 million to reimburse federal and state trustee assessment costs. These projects will benefit local communities that value clean and vibrant habitats, as well as wildlife, and fisheries for recreation and commercial uses. The public can view and comment on the proposed consent decree through December 16th, 2018.